At Family Dental Care Center, we understand that dental pain and other issues don’t take days off — so neither do we. Aside from providing professional dental cleaning to our patients in Aldan, we also provide them with trusted, 24/7 emergency dental services. And while some minor tooth or mouth pain can be withstood until you’re able to schedule an appointment during regular hours, some pain just can’t wait. And if left untreated, some of these dental emergencies can pose more severe situations with some very serious ramifications. This is typically the dental emergency we all fear. However, with some quick acting, you can create the best conditions for a successful outcome. 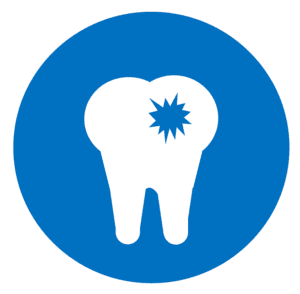 First, find the tooth and rinse it off with water while holding it by the chewing surface only. Then place it back in your mouth (preferably in the empty socket or cheek) to keep it moist. Call our emergency dentists immediately. Although they’re very common, broken appliances can pose serious problems for your mouth. Broken bridges, loose braces brackets, and crowns falling off can cut the inside of your mouth if they become unattached. If you have an issue with a loose dental appliance, try to put it back in place, then, make an appointment for emergency dental service. If you wake up with unbearable, throbbing pain, it’s a definite sign that there’s something wrong with your tooth or the tissue around it. Many times, this is a symptom of an infected tooth. Make an emergency appointment, then apply a cold compress to the area to reduce swelling. You can also try to rinse with salt water and take over-the-counter pain medications to ease the discomfort. If you have suffered an injury to the head or jaw and are experiencing pain and swelling, it’s possible your jaw is broken or dislocated. Additionally, you may not be able to properly align your teeth or close your mouth. Use ice or a cold compress to decrease the swelling, and stabilize your jaw using a bandage wrapped under the jaw and around the top of the head. At Family Dental Care Center, we’re more than Lansdowne’s premier family dental care service. We also provide emergency dental care, 24/7, to give you the confidence that we’ll be there when you need us, no matter when, what, or why. For emergency dental services, contact us by calling 484-791-2138 right away!